Sublinguals are a costly option. Consumers looking to find inexpensive sublingual vitamins and minerals may find themselves with a slim array of options. When it comes to sublingual tablet and spray supplement formulas, costs are frequently higher than that of traditional oral capsule or tablet formulas. This is primarily due to the increased expense of compounding sublingual products, but, in truth, there are many factors that consumers should consider before they commit fully to sublingual formulas. The first thing consumers will note when it comes to sublingual formulas is that there are not many multi-vitamin and mineral formulas available. Where these formulas are available, the costs are sometimes more than twice the price of a standard pill form. NaturalNews.com helps to unveil the reason behind this leap in price, and it isn't encouraging for sublingual fans. Liquid vitamins are already more expensive to manufacture. Many of these formulas require refrigeration as they cannot rely on harsh preservatives to maintain their quality. After all, consumers are looking to gain health from their supplement, not ingest powerful and toxic preservative agents. Hence, due to shelf life and special formulations, liquid vitamins cost far more to manufacture than pill vitamins. Sublingual formulas that deliver more than one nutrient are rare enough, and they often are manufactured using a spray delivery system which relies on a liquid base. Though many sublingual vitamins featuring single or dual vitamins can be made into a sublingual tablet form, large combinations of nutrients are easier to manufacture in a liquid formula due to the number of ingredients. This makes a spray delivery the most feasible option. As stated earlier, liquid vitamins are already more expensive than the standard variety, so it is difficult to formulate an inexpensive spray multivitamin. Sublingual multi-vitamin and mineral formulas are rare enough to begin with, thus, when you do find a formula, the cost is rarely encouraging. Most sublingual formulas contain a single isolated vitamin or mineral. Attempting to take a large amount of minerals and vitamins in sublingual form will result in higher costs as you will need to purchase each nutrient individually. 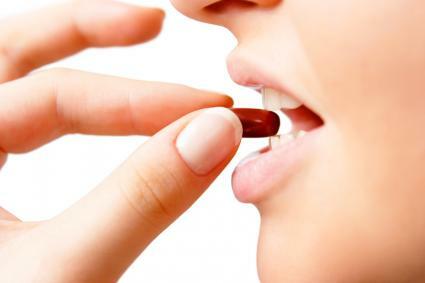 One of the most popular vitamins by far in sublingual format is vitamin B12. You can find inexpensive formulations of this nutrient at local drugstores, but Trader Joe's sells a particularly good product. Trader Joe's sells its sublingual B12 for approximately $6, and it delivers a quick dissolving 1000 mcg in each of the 100 tablets. Trader Joe's also stocks a B6 and Folic Acid combination product for a similar price. Since the average price of sublingual B12 supplements is about $10, the Trader Joe's brand can be considered a deal. Amazon.com is also a useful resource for comparison shopping. Amazon's products are already typically sold at a discount, but this online retailer carries so many brands it is easy to spot the best prices. Amazon currently carries a powerful B12 sublingual formula fortified with Biotin, B6, and Folic Acid. For nearly $20 it can hardly be considered "cheap," but the bottle does contain 250 tablets. Fans of sublingual vitamins will find shopping very daunting when it comes to prices. The rarity of sublingual multi-vitamins and minerals will also threaten your search. However, when it comes to sublingual supplement formulas there are many things a consumer should reflect upon. Many vitamins, particularly fat soluble vitamins, can be absorbed well beneath the tongue. This delivery method allows nutrients to rush into the bloodstream faster than those absorbed in the digestive system. Such delivery is invaluable for persons who suffer from quickened digestive motility or those who have endured the surgical removal or certain portions of their digestive tract. It is important to note that there is currently no research to support the idea that sublingual vitamins are more effective. In fact, the FDA doesn't even consider sublingual vitamins to be "dietary supplements" because they bypass the digestive tract. Unless you suffer from one of the aforementioned medical conditions, you may do just as well with a liquid vitamin supplement. Another important factor to consider is that without FDA recognition of sublingual formulas, it is impossible to regulate such products. Inexpensive or costly, no sublingual vitamin on the health market is regulated. This is an important safety consideration for any consumer. In light of the expense and lack of research and regulations regarding sublingual formulas, it is more than likely you can cut costs by taking a liquid vitamin or a traditional pill. However, fresh fruits and vegetables are the best source for the vitamins you need. Always talk to your doctor about any nutritional supplements you are taking or considering taking, particularly if you have been diagnosed with a medical condition.